Combining sacred elder lore, science, and her own telepathic dreams, Zohara Hieronimus looks at the special role played by White Spirit Animals in spiritual traditions and prophecy around the globe, where they are seen as guardians of animal wisdom, each with a special purpose and gift. She reveals how they have collaborated with humanity since the last ice age, inspiring spiritual practices and conferring shamanistic powers, and are considered the stewards of the great spiritual transformations that occur during transitional times. 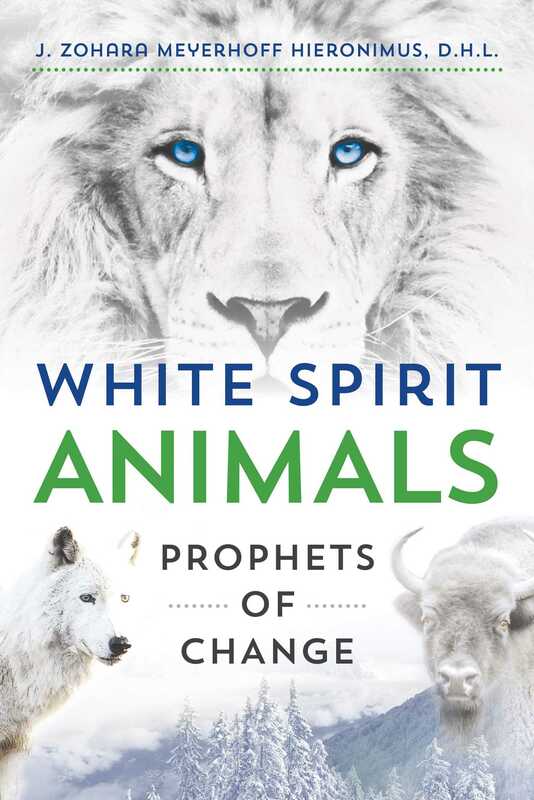 Sharing the waking vision of White Spirit Animals that called her to write this book, and their message of CPR for the earth--conservation, preservation, and restoration--she explains how to use shamanic dreaming and trans-species telepathy to communicate with these great spiritual teachers. Exploring each one of the major White Spirit Animals--White Buffalo, White Lion, White Elephant, White Wolf, and White Spirit Bear--and the cultures in which they are honored, the author shows, for example, how the White Buffalo is called a harbinger of peace and abundance by many Native American tribes and the White Bear, the great earth healer, teaches us about nurturance and patience. The Maasai live a mostly pastoral life and depend on their livestock to feed their families. If they lose any of their livestock to lions, or believe that it was from lions, they retaliate by killing lions. Lion Guardians helps return lost livestock, rebuilds animal fencing, tracks lions, and notifies herders when Lions are near, enabling them to take different routes. They employ sixty-five Lion Guardians throughout East Africa, who are paid the equivalent of $100 a month, taught to read and write, and tasked with tracking, naming, and knowing the whereabouts of the Lions they protect. Their ultimate goal is to prevent any conflict with Lions and to reduce Lion killings, increasing their now dangerously small populations. In the past fifty years Africa has lost 50 percent of its Lion population. But in Amboseli, Kenya, the Lion Guardians have documented a near tripling of the Lion population since beginning their work. J. Zohara Meyerhoff Hieronimus, D.H.L., author of The Sanctuary of the Divine Presence and Kabbalistic Teachings of the Female Prophets, is an award-winning radio broadcaster, social justice and environmental activist, and passionate organic gardener. She founded the Ruscombe Mansion Community Health Center in Baltimore in 1984 and hosted the daily regional radio program The Zoh Show from 1992 to 2002 and the national radio program Future Talk from 2002 to 2008. She cohosts 21st Century Radio with her husband, Robert Hieronimus, and lives in Owings Mills, Maryland.